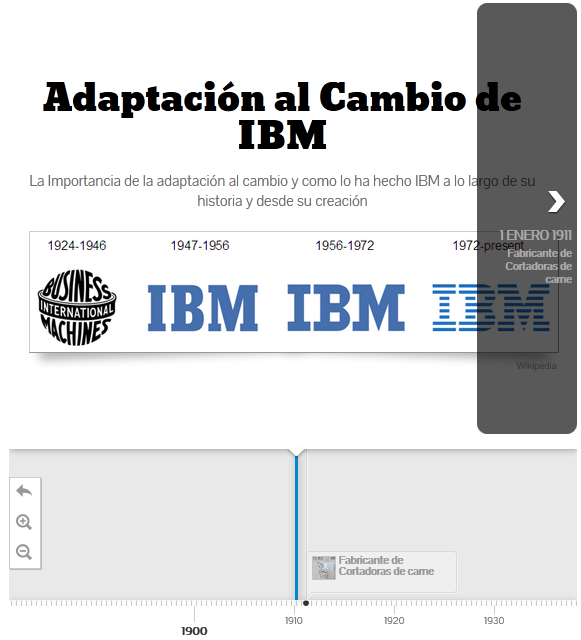 Let’s see in a timeline the adaptability that IBM has shown over the years that will inspire us in our daily work. In this case I adapted a previous article on this topic to Timeline format so you can see better and more clearly, over time, as IBM has adapted to the different circumstances that surrounded it. Great to see you are publishing in English too! I think it really opens the blog to a broaden audience. I am sure it will be a success. I considered to do the same with El Miracielos but, in my particular case, I am not sure if the effort pays off (not so many readers!). It’s very difficult to translate all the post to english. For that we put the google translation tool on the top (it is not the better solution but is a solution). By the way, some kinds of posts are especially indicated to be translated because they receive a audience from different countries. The timeline are the best ones. But we remain a spanish based blog!